Havergal Trust | About F.R.H. This oval portrait was one of the eight photographs taken by Elliott and Fry on February 1, 1879. Note that this is not an enlargement, but a separate, different photograph than the one with her signature on this website. The portrait in chalk on page v was drawn the same month, February, four months before her death at age 42. This Preface was written for the compilation Valuable Selections from the Writings of Frances Ridley Havergal (Hannibal, Missouri: Granted Ministries Press, 2009), a 96-page book much recommended, available at www.grantedministries.org. 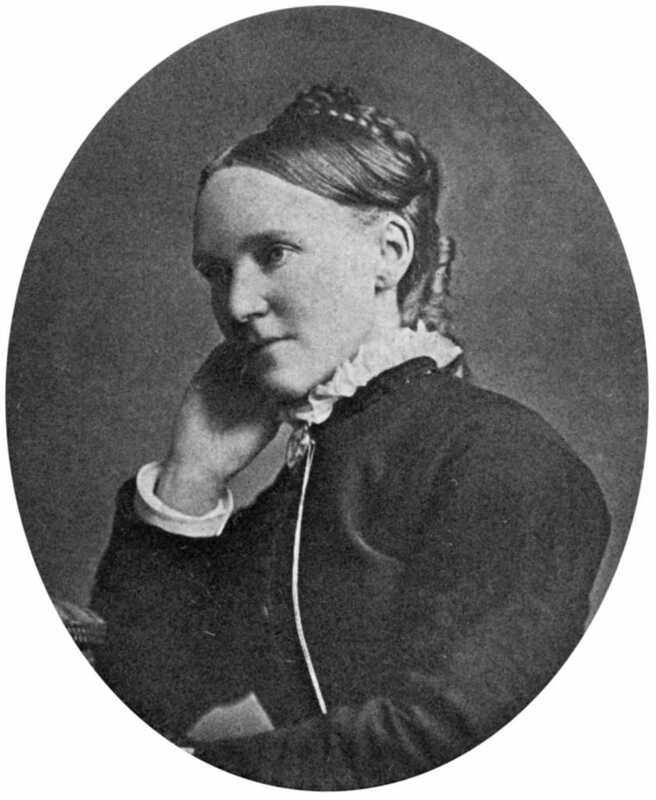 Frances Ridley Havergal lived forty-two and a half years. She glowed the Lord Jesus Christ and His truth, and her life profoundly benefited many who knew her and later many who read books or pamphlets by her or sang her hymns. Early in the 21st century, few recognize her name, and most of those who do remember her name only know of her as a hymn-writer. At the time of her death, she was very widely known and greatly valued on both sides of the Atlantic, and likely four million of her books were published between 1870 and 1910. There is true gold in her writings, help and enrichment to disciples. She was born on December 14, 1836, the sixth and last child of Rev. William Henry and Jane Head Havergal. As a child she was called “little quicksilver.” Her mother’s death, when Frances was 11, very deeply affected her. She was brought to a saving knowledge of Christ when she was 14, and though she had attended church and read the Bible for years, now she had the light and life of Christ she had not known before. Though her formal education ended when Frances was 17 (concluding with one term at a girls’ school in Dusseldorf, Germany, where she was awarded top prize, never previously done at the school), she was a true scholar and student the rest of her life. She was rarely gifted (at or near the level of John Milton), and she was rarely diligent with her gifts. She was utterly fluent in German and French, and nearly fluent in Italian. Her tutor (a pastor in Switzerland) said that she read and understood the German divines and reformers with marvelous speed and perception, swallowing whole whatever he gave her to read (in German or Latin). Today few—almost none—realize the rare gifts she had in music, and the importance of her music. Frances’ knowledge was only a means by which to know better her Saviour, and to glorify Him and to bring His truth to others. She read the original Hebrew and Greek texts, not as a dilettante but with real proficiency, diligence, love. Her sister Maria wrote in Memorials of Frances Ridley Havergal and in Lilies and Shamrocks that she memorized all of the New Testament except the Book of Acts, all of the Minor Prophets, Isaiah, and all the Psalms. (Maria was accurate, would not have overstated any more than Frances, and sooner understated by leaving out details—books not completed, and various chapters memorized.) She loved the Word of God, and was intimately familiar with every page, searching and underlining and glowing till the end. Her works are a gold-mine of help and enrichment. The poems, prose pieces, and music scores given here are taken from the edition of The Complete Works of Frances Ridley Havergal. The items given here are not better than other items in the edition, and twenty times this much could be filled with things as good as these: her other works are as fine and valuable as this small collection. There is so much more by her, and the reader is recommended to proceed after this to whole books by her, which, if the Lord wills, we want to begin publishing soon. These selections are not exceptional nor unusual in her oeuvre, but very representative: virtually all of her works are notably consistent, consistently rich, in the fineness of both the ideas and the presentation of the ideas. There is life in these pages, and the reality of Jesus Christ. These pages truly glorify the Lord, and truly help, encourage, enrich His people. There are also parts that are very powerful to reach those who do not yet know Him with the truth. “If the Lord wills,” we desire soon to publish all of her Complete Works, and also many individual, smaller books taken from the Havergal edition. F.R.H.’s poetry, prose, and music are so rich, full of true benefit, full of love to God and love to others; as surely and as valuably as her written works, her life was a sweet-smelling savor to God, and a help, encouragement, enrichment to others, both while she lived and since she died. Now we have only her written works, a number of photographs and other portraits, and written accounts of others who knew, met, or heard her. 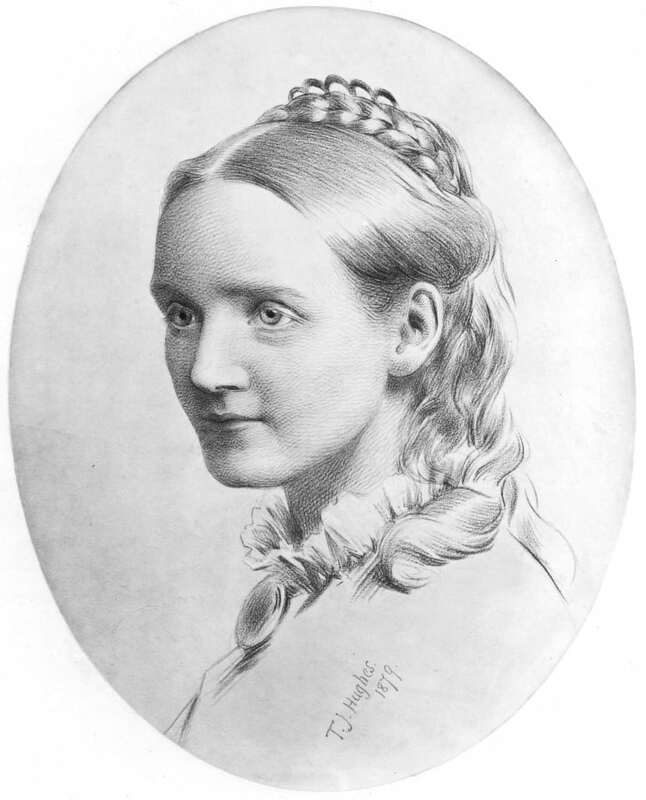 Many details of her life are unknown now, and yet we have generously much extant today, so that – like Beethoven, Gladstone, Spurgeon, or Oswald Chambers (what a valuable biography of Chambers was written by David McCasland in 1993) – we can know extensively and accurately much about her, and really know her well, though incompletely, from a distance. She was an example of Jesus Christ’s grace and truth. He worked in her mightily (as Paul wrote in Colossians 1:29 and I Corinthians 15:10). She was not sinlessly perfect (she clearly rejected sinless perfectionism in this world as false doctrine against Scripture), but the Lord did His truth in her wonderfully, and by His grace she loved Him and sought His will with all her being. She would very rightly say that her love and obedience to Him were all His true work in her, not of herself. So very many who knew her or who met or heard her were deeply blessed by her love. face. A ray of hope came to me as she talked to me in the train. . . .
1 Memorials of Frances Ridley Havergal by her sister Maria Vernon Graham Havergal (London: James Nisbet & Co., 1880), original book pages 155-156, page 43 of Volume IV of the Havergal edition.